Bathrobe from Ringella.100% polyester.Navy blue color. 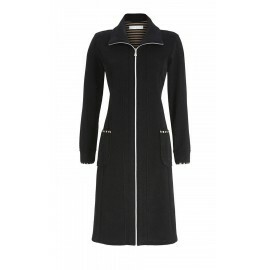 Dressing Gown very soft and warm roomLength 120 cmwool coat with shawl collarLong sleeves - two patch pockets, tie beltThe composition indication of the manufacturer: 100% polyester (polar)Care: Each product is unique, we advise you to always refer to the care instructions on the label tissue products. 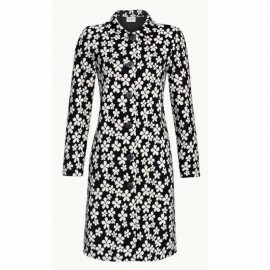 Buttoned Houscoat in terry cloth with plain finishing pockets, short sleeves and neck in a sparkling floral fabric. Waist belt and patch pockets with a button placket. "Claire" dressing gown from Taubert.The gathered collar, the cuffs and the A-cup give an elegant look. Zipper.Length: 130 cm.Composition: 80% cotton, 20% polyester.Color: Burgundy. 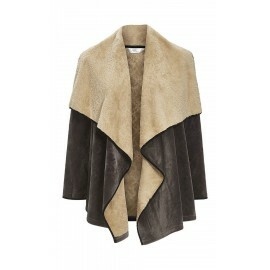 "Ingrid" jacket by Taubert.Warm and soft velvet micro quality. The pretty floral print and the pretty button placket with narrow shawl collar give a particularly romantic and feminine touch.Length: 60 cm.Composition: 100% polyester.Color: White-Blue. 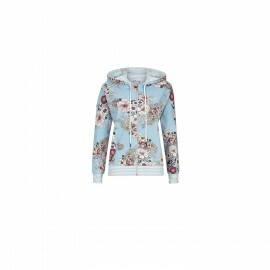 "Ingrid" crossed long dressing gown by Taubert.Ultra-soft microfiber luxury fleece, white base and blue roses print. With turtleneck, long sleeves and tie belt.Length: 130cm.Composition: 100% polyester.Color: White-Blue. 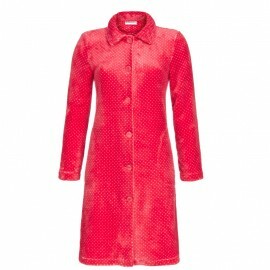 "Ingrid" dressing gown by Taubert.In soft micro-suede, fine and shiny material with a luxurious floral print. 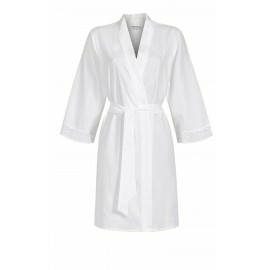 Two side pockets, a noble shawl collar and a pretty button placket make this bathrobe a comfortable companion for hours of relaxation.Length: 110 cm.Composition: 100% polyester.Color: White-Blue. 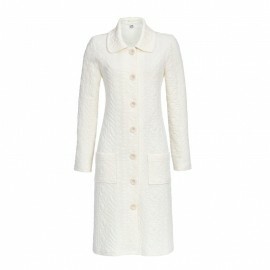 "Tibet" Jacket from Taubert.Bed jacket with classic and simple cut. 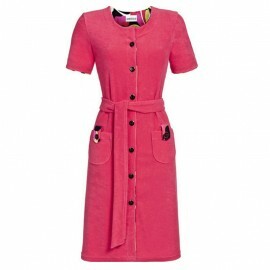 With a high collar and four large buttons to close. 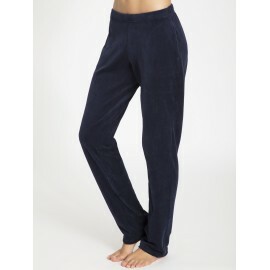 Made of functional micro velvet - soft, soft and warm.Length: 55 cm.Composition: 100% polyester.Color: Pink.